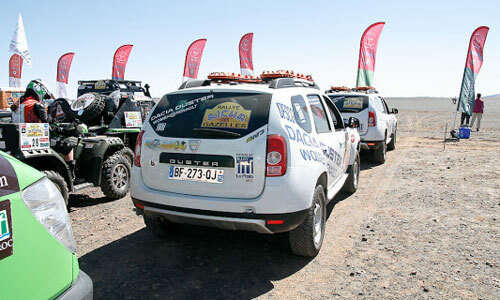 Women@Renault teams (crossover category), were then off to Morocco for the Prologue of the 23rd Rallye Aïcha des Gazelles, until March 30th, 2013. 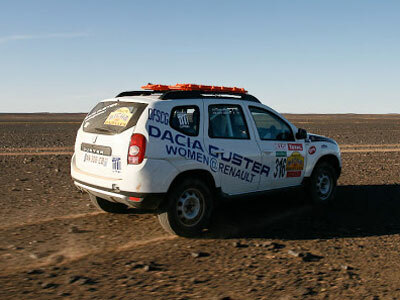 A team of champions, Catherine Houlès and Mélanie Suchet, will also drive a Dacia Duster (4x4 category), and so will 5 La Poste teams. 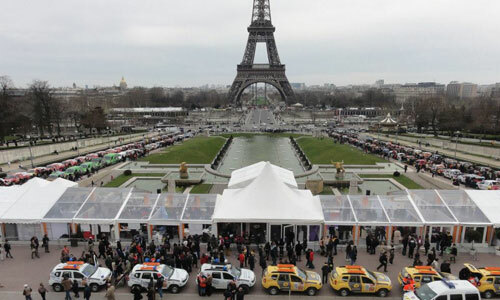 300 gazelles were on the starting line (150 teams) for the 23rd edition of Rallye Aïcha des Gazelles, on March 16, 2013, in the gardens of the Trocadéro in Paris. 20 nationalities were represented. The gazelles will take part in one of the following categories of the Moroccan rally: 4x4, Crossover, quads, RZR and buggys. 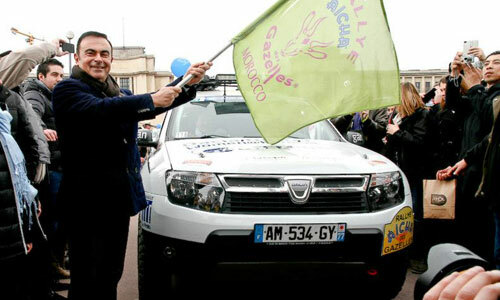 Carlos Ghosn, Renault CEO, sent the gazelles off, among which 9 teams behind the wheel of Dacia Duster, modified for the event. 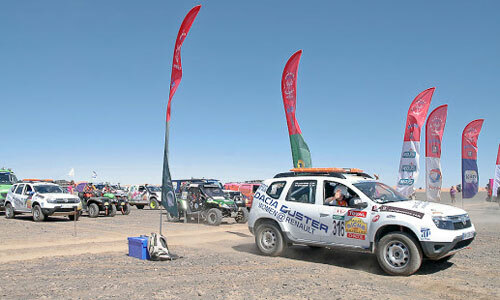 The teams were then off to Morocco, for the Prologue of a race made up of 6 legs, that will take them from El Jadida to Essaouira, throughout the dunes of the Moroccan desert. On the programme, no speed and no GPS, just old fashioned navigation, completely off-road. 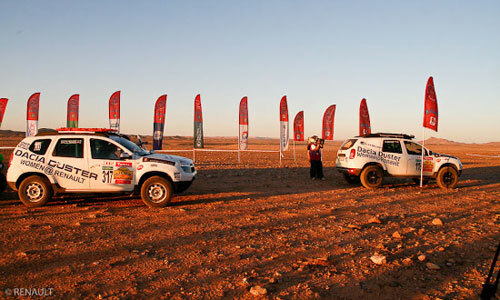 The gazelles have to reach the predefined check points along their course in the least number of kilometres, rather than in the least amount of time. With the help of a compass and a 1:100,000 scale map, they plot their route and plan their itinerary. The winning team is that with the least number of kilometres. One course, designed specifically for the capacities of crossover vehicles, is reserved for the exclusive use of this type of vehicle. Results on March 30, 2013. 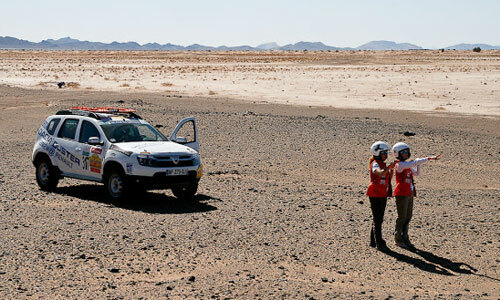 Meanwhile, don't hesitate to support our Gazelles on the Rally's official website!